Between 1996 and 1998 he began his collaboration with the artistic director, John Perna, and works in clubs in the Marche and Abruzzo. Between 1999 and 2001 reaches its maximum levels. until arriving in 2004 to establish close collaboration with the most famous discotheque in Italy, COCORICO’ of Riccione. 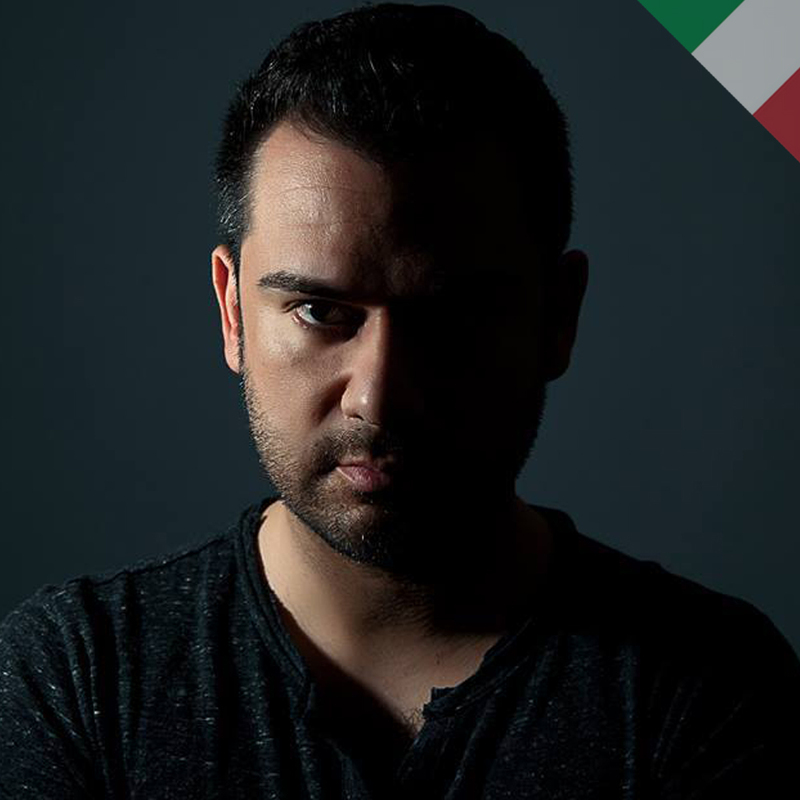 In 2005 he joined the team of house music radio show most of Italy, LA NOCHE ESCABROSA, which airs first on Network Italy and then on Radio Deejay, both national radio. In July 2006 Andrea Mattioli consolidated record producer partnered with one of the most followed Italian labels of the time, Ocean Dark! His first project is titled “Come to me” and after 2 weeks from the remains excellent on all levels, national rankings and international following. Also in 2007, other products, such as “Some People Are Addicted”, “Future Shock” output “Stereo Seven Plus” and in 2008 the first EP by Andrea Mattioli & Gabriel C, entitled “Out Of Head EP”. In 2008 other hits like “Dangerous EP” and 2009 “Twister” which is remixed by DJ Dandi & Ugo, released later in 2009 in the compilation of “Hell Yeah” selected from one of the world’s most famous techno DJ, Umek. Simultaneously holds a strong partnership with Mark “Zicky” the group metempsychosis. In 2009 Andrea Mattioli began his collaboration with Andrea Di Rocco, and immediately collect many works including the highly successful Music Return, Beat Park Overall, Beat Circus. Today their projects are always supported by great DJs from around the world. Mark Ramsey, Saimont, Plate, Pierre Deutchmann, Andrea Bertolini, Robin Hirte, Char Brown, Phunk Investigation, Federico Milani, Axel, Demas & Paride Saraceni, Seismal D, Autistic, DJ Skate, Francesco Bonora, Andrea Loche and Conrad and many Zonnedda others. Today is the testimonial of one of its coolest clothing, Tokidoki, which enjoys the support of the great fashion designer Karl Lagerfeld. The Tokidoki craze has infected many celebrities from the worlds of music and film, among which the names of Fergie of Black Eyed Peas, Blink 182, Jessica Alba, Rachel Hunter, Paris Hilton. Café Solaire (MI), Privilege (Torino), Paparazzi (PA), Bill’s (BA), New York Jazz (TV), Kursaal (UD), Charlie (CA), and many more.